Hello, I was processing an order this morning and the system wouldn't let me because the customer forgot 2 numbers of her telephone number. What should I do? 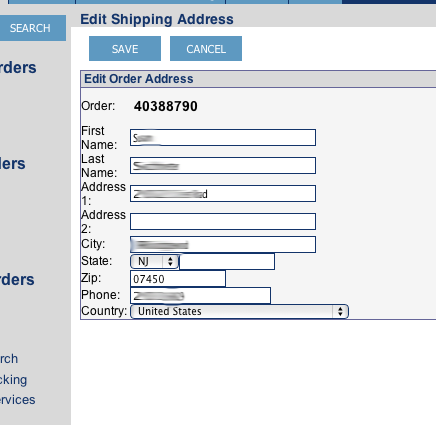 If you need to change any field of the Bill To or Ship To address, you can use the Edit link under the address. It will allow you to change the phone number and the order should then go through.